The world is not looking Down Under on the big issues. We're leaving ourselves out in the cold. "We are living in a world marked by uncertainty, volatility and deep transformation," declared Professor Klaus Schwab, the founder of the World Economic Forum, ahead of next week's annual meeting in Davos, Switzerland. Citing global populism and over-simplified ideologies, he has warned "we will be in a much more fragile world". 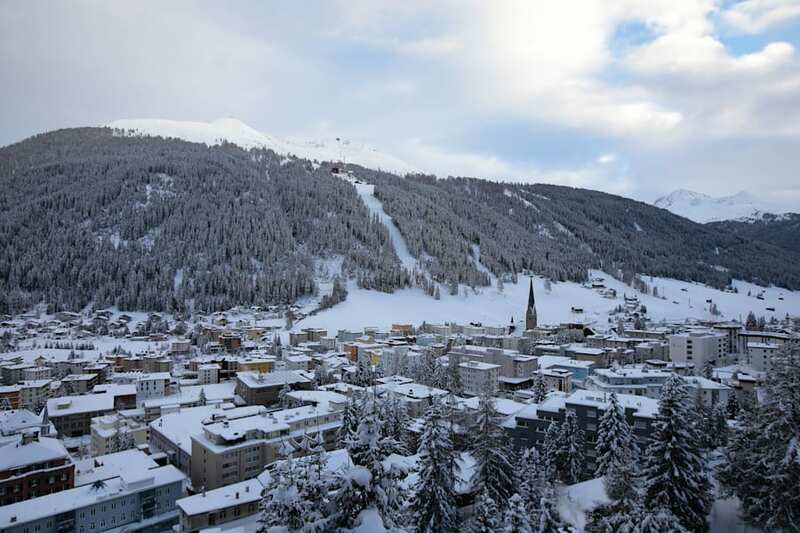 Every year in mid-January, the quiet Swiss ski village of Davos transforms into the world's boardroom, as 3000 business, political and cultural leaders arrive for the annual meeting of the World Economic Forum. Since 1971, here in one of Europe's highest-altitude cities, politicians, CEOs and academics having been coming for a birds-eye view of the global agenda. If security is any barometer for importance, during these four days in January, Davos also plays host to 5000 military-grade security guards, 50km of fencing and two surface-to-air missile systems. What has traditionally been a Euro and US-centric meeting, this year is being dominated by Chinese voices. This year's delegates include over 50 heads of state, nine Nobel Laureates, the heads of the IMF, World Bank and EU Parliament, and the Secretary-General of the United Nations. Al Gore is running a session on the future of climate action and Sir Tim Berners-Lee will lead a discussion on internet privacy, while Sheryl Sandberg will talk about resilience in leadership. Matt Damon is showcasing his water sanitation project, while Shakira joins as a UNICEF Global Ambassador. Perhaps because of limited parking for private jets, the WEF also invites 50 'Global Shapers', aged 20-30 years old, drawn from around the world to represent the youth voice. I was among the fortunate 50 selected for next week's meeting. The key global issues of the day play out through the Davos agenda each year. What has traditionally been a Euro and US-centric meeting, this year is being dominated by Chinese voices. On Tuesday, Xi Jinping -- President of the People's Republic of China -- will become the first sitting Chinese leader to attend Davos, and will give the opening address at the base of Mount Rinerhorn. While many Western leaders are beleaguered by domestic affairs (Theresa May is the only G7 leader to attend Davos this year), China is taking centre stage. This is particularly pertinent given the theme for this year's meeting: "Responsive and Responsible Leadership". Following a tumultuous 2016 when unpredictable populist swings caused political upsets around the world, the Davos meeting asks how we can navigate the line between consultation and determinism. 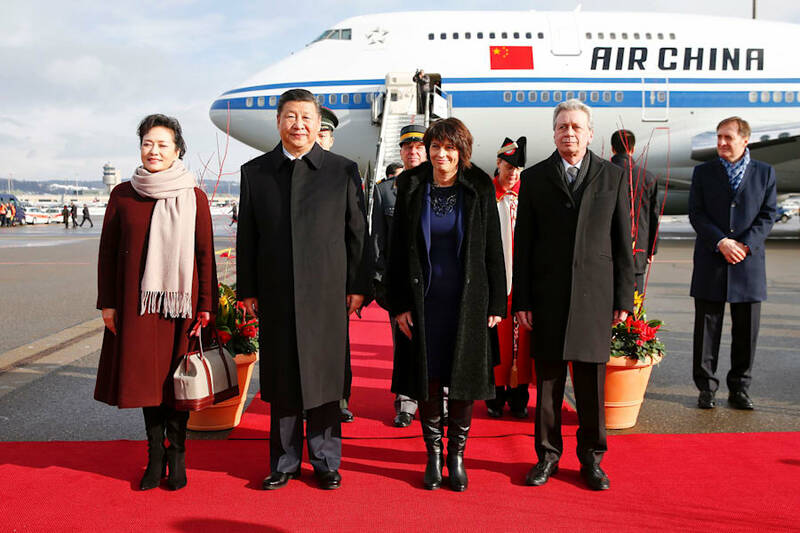 Chinese President Xi Jinping and his wife Peng Liyuan with Swiss President Doris Leuthard and her husband Roland Hausin listen to the national anthems during a welcome ceremony upon their arrival for a state visit to Switzerland on January 15, 2017 at Zurich Airport. But China does not exclusively represent top-down leadership. In one of Davos' most oversubscribed sessions, Jack Ma -- China's richest man and founder of the online marketplace Alibaba -- will speak about how his e-commerce platform is supporting grassroots entrepreneurship across Asia. As much as it is about setting a future agenda, Davos captures the zeitgeist of the time by shining a spotlight on particular countries and organisations that are pioneering in different fields. The President of Estonia is leading a discussion on cyber security, the Princess of Norway chairs a session on youth engagement, while Stanford University hosts a workshop on brain-computer interfaces. Which begs the question -- where does Australia feature in this exposition of international talent? Encouragingly, there are a number of sessions being led by Australians at this year's meeting. The Australian National University is running a workshop on "Precision Public Health" -- how to use big data to personalise care and manage chronic disease. Elizabeth Blackburn will join forces with fellow Nobel Laureate (and adopted Australian) Brian Schmidt to discuss 'how science can promote a more secure, peaceful and prosperous world.' A step up from Tony Abbott's controversial 2014 Davos trip, while Australia had the G20 presidency, when he referred to the Syrian conflict as a case of "baddies versus baddies." Australia has all the ingredients to be a global thought leader. Yet one cannot help but notice all the big themes coursing through the Davos agenda this year on which Australia is not part of the conversation. On the idea of the Fourth Industrial Revolution driven by artificial intelligence and automation; on issues of global migration and refugee rights; on climate change policy; on renewable energies; on building economies of innovation -- the world is not looking Down Under. Peter Holmes à Court -- a regular Davos attendee -- wrote an article last year entitled "At Davos forum, it's no longer cool to be Australian", citing our declining economic relevance in a "post-oil, post-iron" economy and negative global views towards Australian immigration policy. That said, Australia has all the ingredients to be a global thought leader -- our privileged history of unbridled economic growth, high-quality education and healthcare, coupled with our modest population size, put us in a prime position to be a testbed for innovative economic and social policy. The spire of St. Johann church, right, stands among snow-topped buildings ahead of the World Economic Forum in Davos, Switzerland, on Sunday, Jan. 15, 2017. Davos may be criticised as the ultimate ivory tower where economic elites set lofty ambitions for global policy from a gilded ski chalet; but it still represents a unique psychoanalysis into the world's dreams and vulnerabilities. So on the eve of Davos 2017, let us consider how Australia might be that trailblazer for some of the trends echoing through the Davos agenda: technological innovation, socially-conscious businesses, environmental responsibility, new forms of democracy. In the theme of 'responsive and responsible leadership', Australia must learn from the global priorities being discussed and cultivate new areas of international expertise in a rapidly-changing global economy. "We are at some kind of a turning point of history," Professor Schwab writes. And when the General Secretary of the Chinese Communist Party is opening the world's top economic conference in the Swiss Alps, change is definitely afoot. 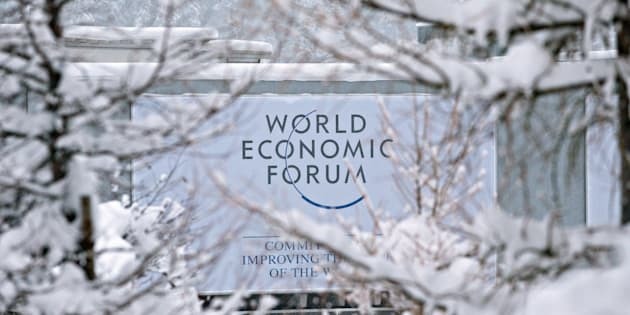 The annual WEF meeting at Davos runs January 17-20. Livestreaming of most sessions is available at www.weforum.org.